The Power of a Personal Brand : As a Business Owner, you know that developing a brand that sets you apart in the marketplace is critical. This brand should be a recognisable reflection of your business values, your ideology, and what you want others to think about you. 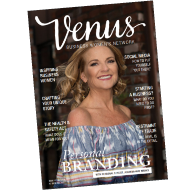 I was photographed for the COVER of the Venus Business Women’s Network Magazine and interviewed for a 6 page article on Personal Branding and the importance of Dressing For Your Brand. 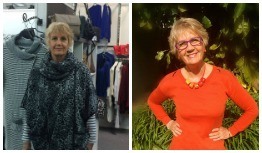 I’d love to share this with you all as in my heart I believe that dressing with a strong personal style stays true to yourself and shows the world a completely authentic you…..
As a business owner, you know that developing a brand that sets you apart in the marketplace is critical. This brand should be a recognisable reflection of your business values, your ideology, and what you want others to think about you. Branding, of course, should be integrated into every aspect of your business – and that includes how you dress and present yourself to customers, colleagues and prospects. A personal brand looks different on each and every one of us – and that’s a wonderful thing. However a personal brand should mean the same thing to us all – and that is, showcasing the best version of ourselves for the benefit of our business. We spoke to Auckland-based Personal Stylist, and Venus member, Johanna-May Manks about how putting your best foot forward can impact your business, and why personal branding goes much further than just wardrobe-deep. Why should appearances matter? The reality is, we only get around seven seconds to make a first impression. Whether we like it or not, our appearance does the talking in these crucial first moments. As business women, it is also something we are judged on more than men, but the positive is, it’s possible to use this to your advantage by making a memorable statement about who you are. “The brain is hard-wired to judge someone within seconds, so when you first walk into a room, or a meeting, the first thing people see is what you’re wearing – colour and then style”, explains Johanna-May. The image we present to others in those short seconds communicates so much, simply through our dress, grooming, demeanor and comportment. While these are not the only influences on our overall judgement of a person, they are the first. We have the power to influence others’ initial opinions – so what do you want people to think about you and your work? It makes sense to take control of this and present yourself in a way that you would like to be perceived – and remembered. Before we go any further, let’s get this one out of the way – style is not about brands, expensive fashion, or out-of-your-comfort-zone glamour. A strong personal style stays true to yourself, and shows the world a completely authentic you. As with all branding, consistency is key, and you’ll never maintain a style that isn’t an honest representation of you, or your business, so Johanna-May emphasises that that’s not what personal branding is all about. Johanna-May says that linking back to your values is important – what are you proud of that you want others to know about? “Let your personality shine, but don’t compromise the professional image you are portraying. For example, being a personal trainer doesn’t mean you have to always be in your active wear; wear clothes that show your strength and the pride you have in your body. If you’re a creative, add your own twist to a tailored outfit with expressive jewellery and colourful scarves. There are ways to still express yourself without moving too far away from being professional”. Of course, what is as important, if not more so, than how others perceive us, is how we actually feel about ourselves. Professional relationships are built on trust. And one of the most powerful tools towards building trust, is confidence. Clothes, and the feelings they can imbibe, therefore become an invaluable part of the messages you’re sending out about yourself and your work. Making the right choices for your wardrobe and grooming will affect how you view your body, and therefore how you feel and carry yourself. “Walking into a meeting and knowing that you look and feel your best will give you a palpable confidence. Therefore knowing the right clothes, hair and makeup choices to make will help give the right impression of who you are and what your work represents,” says Johanna-May. She adds that even in your own work environment, it’s important to make an effort towards looking and feeling good. “Even working at home, it’s important to still look smart. Putting something on that you like, that looks good on you, that makes you feel good, will surely be reflected in the work you produce”. A word that Johanna-May uses when talking about dressing appropriately and developing your professional style is respect. If you want others to respect you, you must first show that you respect yourself, too. One of the most important ways to broadcast respect for yourself, your business, and your work, is to present yourself with care and effort. Johanna-May adds that style and personal branding goes beyond fabric deep – it’s about presenting a healthy, happy and engaged persona to match. “That means good skin, clear eyes, healthy hair, tidy nails. Looking after yourself is an incredibly important part of the messages that we’re sending out about how we care for and respect ourselves”. How you present yourself is also a matter of respecting your customer or prospects. The adage ‘dress for the job you want’ rings true here, and respect means dressing appropriately for the audience, the event or the environment. “It’s a sign of respect to work within the expectations of your client. If you want the job, you need to present yourself to clients in the way that they would expect. That means staying within your personal brand, but also aligning with their branding, and the way that they would expect their own employees, partners or associates to present themselves and represent their business”, says Johanna-May. “If you’re professional, and you want someone to take you seriously, yet you turn up looking less so, they’re going to think that your work is like that too. Know the kind of client you want, and respect that they’re going to have certain expectations”. Johanna-May works with a range of clients, both women and men, of all ages. Generally, they all have something in common – they’re feeling ‘stuck’ with their wardrobe choices and feel that their clothing is misaligned with how they want to be presenting themselves. For many women in particular, it may have been some time since they’ve needed to dress for the corporate world, their style has become outdated, their bodies may have changed shape and their confidence may be lacking. Whatever their challenges, she takes the time to get to know her clients to better understand their pain points, and how she can use fashion to help solve them. Working with a personal stylist is not about having a one-hit-makeover, but about maintaining a wardrobe that better reflects how you want to represent yourself professionally and personally. “I don’t change people. I dress people around their personality. I highlight the good parts and downplay the parts they are not so proud of. I get close to my clients, I have to. For me to get under their skin, I need to get to know them, and one of my first questions is, ‘how do you want to feel?’”, she explains. Johanna-May says that becoming aware of how certain clothes are making you feel is a good place to start. If you’re not feeling positive, then ask yourself what it is that you really want to feel instead – is it empowered, strong, creative, bold, feminine? Working with a personal stylist can help you find clothes that better express on the outside who you want to be on the inside. According to Johanna-May, one of the biggest mistakes women are making is around their choice of colour. The use of colour is incredibly powerful, and a colour analysis is generally the first place that she starts with any of her clients. “Everybody can wear colour – it’s just a matter of finding the right one to complement you”, she says. “Too many people go for black. The assumption is that it’s a slimming colour, but if it’s not your colour, then it’s not slimming at all, in fact it can actually be the worst colour for some because it wears you”. In the same way that we invest in a well-performing website, a memorable logo or professional business cards, so too should we be investing in putting forward the best version of ourselves as part of our brand. 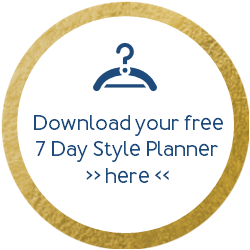 And in the same way that you might use a business coach or a personal trainer to reach your goals, using a personal stylist to better understand your own style is an investment that can pay dividends for your business. “We’re constantly looking at our marketing, so the same applies to ourselves. You wouldn’t accept a brand or a website that didn’t reflect who you are and how you want people to perceive you, so why do we compromise when it comes to our personal appearance, in any of our professional interactions? It’s important to check in and ask ourselves if how we’re presenting ourselves is still in alignment with who we are, who we want to be, and who we want to work with”, Johanna-May says. Simply through the way we present ourselves, we have the opportunity to manipulate others impressions of us, and therefore their perception of our business and the quality of the work we produce. It makes sense to manage this deliberately and use it to our advantage. So, what are those seven seconds saying about you? If you love the photos, they are taken by my clever friend Kirsten Sudbury, she specialises in capturing peoples special moments. 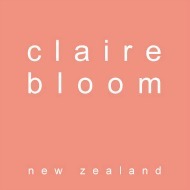 You can find her website here. Well, my lovelies, I felt honoured to get my message out there on this topic, one that I work with in on a daily basis. I hope you have enjoyed the read.